Tenganan is a traditional village in Bali. This traditional village located in the district of Manggis, Karangasem regency in the eastern part of the island, located about 70 km from Ngurah Rai airport. The trip to the village of Tenganan from the airport, taking approximately one or two hours depending on congestion. 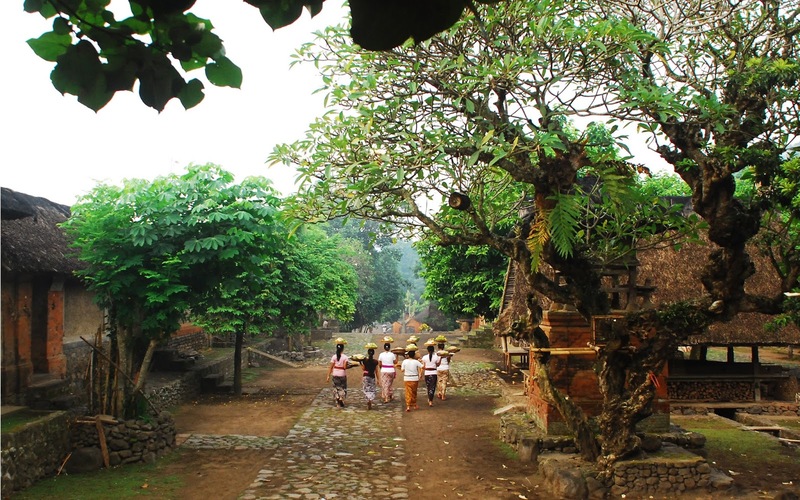 Tenganan Village is one of three villages in Bali, which includes categories of Bali Aga. 2 of them are Trunyan in the district of Kintamani, Bangli regency and Sembiran located in District Tejakule, Buleleng. Meaning of Bali Aga village is the community's lifestyle is still guided by the rules and customs of the ancestral heritage of the era before the Majapahit kingdom. Architectural homes, meeting halls, and a temple built so maintaining customs rules are down - generations. Characteristic of the houses are made of a mixture of red rocks, river rocks, soil and have the same relative size. Tenganan livelihoods of rural people, generally as rice farmers. A small part of the community also work as craftsmen. Handicrafts typical of villagers Tenganan include bamboo ornaments, carvings, paintings on palm leaves and woven fabrics. 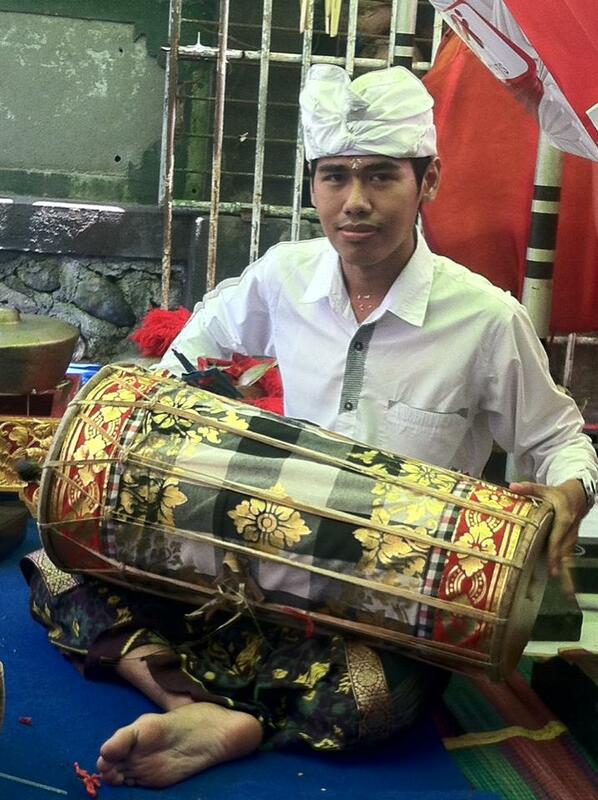 since the first residents desaTenganan famous for his skill in weaving cloth Gringsing. The fabric Gringsing done by means of double ikat technique. This technique is the only one in Indonesia, so that the fabric Gringsing Tenganan community work is very famous throughout the world. The villagers Tenganan has a very unique tradition. Every year in mid-July was held tradition mageret pandan (pandanus war). That ritual mutual pair village youth scratch using the spikes of pandanus leaves them on stage. As a result of the incision thorns pandan leaves, will lead to a sore back, the young men of the village. After completion of pandanus war wounds will be treated with traditional medicine antiseptic material tubers. When smeared drugs, the backs of the youth will feel very sore. The wound will heal in a few days. This tradition was to train the mental and physical villagers Tenganan. In the event that war pandan mid-July, you will see a lot of Bali photographer who covered the event.